Crowd-funding, crowd-sourcing and crowd-collaboration seem to be social outreach hot topics these days and one in which the Harley-Davidson marketing department has paid special attention. However, as a so-called audience member, I often wonder who is in this generic ‘crowd’ they’re referring to? My observation about a crowd’s motivation is simple. If you really want to move people to participate you need to understand their passion points and their behaviors. If you understand what they really value, and make an effort to deliver it within a transparent system, you’ll have a mostly happy crowd. We live in a sell nation. Everybody’s become a brand and is forcing themselves down our throats. Just give me some time…help a brother out. But, this just doesn’t work in an era where choices are seemingly infinite and we only care for that very narrow spectrum of greatness which we truly deem to be indispensable. One group who gets it is Campfire, a marketing agency that shapes perceptions and enhances brand preference through social storytelling, digital content, and physical experiences. I written about Campfire previously HERE. 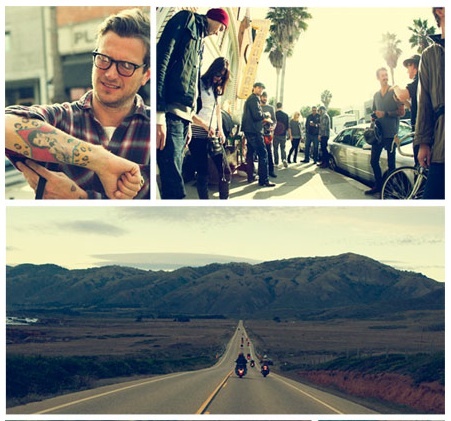 As part of their Harley-Davidson project, The Ridebook—a social engagement platform that provides a new generation of riders a voice—rolled out the most recent installment called the Prohibition Tour, which features musician Butch Walker on a road trip through Napa Valley. Accompanied by a few friends – including winemaker Carlo Mondavi – they brave the cold, wind and rain to play one very satisfying gig at the Kitchen Door in Napa. Even if you don’t ride motorcycles there’s a reason people want to experience this type of video and that’s Campfire’s approach. It’s not about web videos or Facebook pages, it’s about cohesive experiences that ladder up to something even greater. They are trying to retain relevance with a market whose fathers’ rode Harleys and created content, wrapped it in cultural context, and then put it in a place where younger audiences would want to get it. Cultural outreach such as Fader magazine and the lifestyle site UrbanDaddy. Yeah, if you’re like me UrbanDaddy isn’t on top of your reading list, but Campfire clearly demonstrates that they know the communities they’re engaging. There are a lot of people who will take your money to explain how to do this. But to really be indispensible, you have to have vision, and venture out into the wilderness only you inhabit, hoping someone back in the city will get the message and spread the word. And by the fact that I’m writing about this suggests they’ve designed something that motorcycle enthusiasts are talking about. They call these people stars!